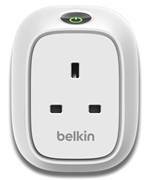 One of our personal favourites from the Belkin products, the WeMo Insight Switch transforms smart home innovation, by allowing users to control their household electronics from anywhere in the world, but also allows you to manage your energy usage. It works with both Android and iOS devices, and works via Wi-Fi. You can turn units on or off, or set it to send you notifications when they turn on or off. 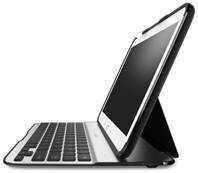 Belkin is already a well known name for accessories, and here they show us the Ultimate Keyboard for Samsung Tab 3 10.1. It uses aircraft grade Aluminium allow, acts as a case, and adds less than 8mm thickness to your device. It also automatically turns the screen on or off when you open or close it, saving you battery life. The TrueClear InvisiGlass Screen Protector is actually made from 100% real glass, and it’s special polymer provides maximum impact resistance and optimal clarity. It has the ability to withstand hard impacts and prevents shattering and cracks. The AC1750 DB Wireless Router delivers ultimate speed and offers up to 4.3x faster than the N technology, up to 450Mbps. It features dual-band technology, USB3, Gigabit ports, and Simple Start setup. Thanks to acquiring Linksys this year, the latest router from Linksys also makes its debut, the Smart Wi-Fi AC1900 Wireless AC Dual Band Router. 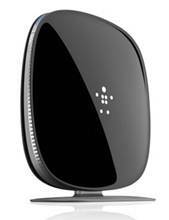 It features three powerful removable antennas for better overall range, and powerful processor.